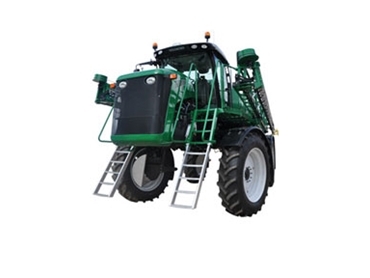 The Crop Cruiser Evolution sprayer from Goldacres has been designed and manufactured with safety in mind. The spacious cabin provides high visability on all sides, while the heavy-duty chassis and industry leading air bag suspension ensure that the operator remains comfortable. The Crop Cruiser Evolution sprayer also features telescopic steering and a multi function seat creating the ideal working environment and accurate spraying application. ROPS cabin with carbon filtration. Rear mounted boom keeps you out of the sprayed area. The Goldacre Crop Cruiser sprayer features a fuel efficient drive system with a consistently reduced engine RPM making it fuel efficient and therefore a cost effective sprayer. 3,500 plus 1,200 litre twin tank model.